Thursday, 1/31/2019 from 9:30 a.m. to 11 a.m. Currently this workshop is at capacity with a waitlist. See Visiting Scholar page for info. 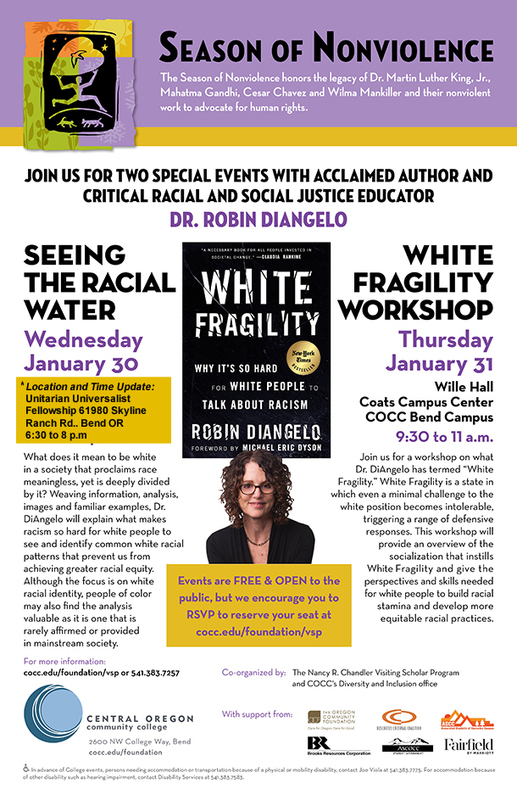 Join us for a workshop on what Dr. DiAngelo has termed “White Fragility.” White Fragility is a state in which even a minimal challenge to the white position becomes intolerable, triggering a range of defensive responses. This workshop will provide an overview of the socialization that instills White Fragility and give the perspectives and skills needed for white people to build racial stamina and develop more equitable racial practices.